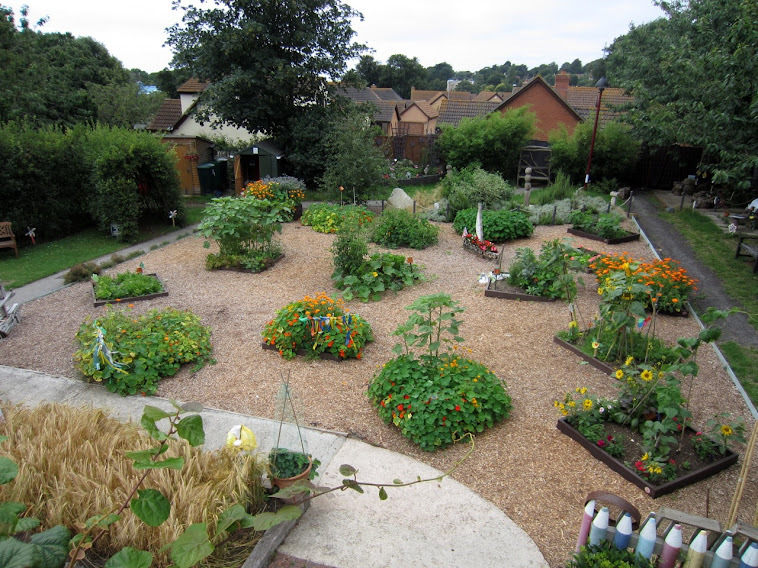 Holy Trinity Primary School Environmental Garden: "Remember not getting what you want. "Remember not getting what you want. is sometimes a wonderful stroke of luck"
Work continued in the garden over the school holidays tidying up and getting on top of outstanding jobs. Plants are always growing and need to be kept in check. Work is continuing on the area at the back of the garden along the wall where a new bed is being created to link up to the other insect friendly beds. Insects have been very visible over the past few weeks with a good range of bees, hover-flies, butterflies and dragonflies all on the wing. Another hover-fly enjoying a carpet of pollen! The garden also recently welcomed visitors from our good neighbours at Gracewell. A steady stream walked around the garden at the Gracewell Summer Fete in glorious sunshine. Many found the time to sit and enjoy the surroundings and we received many good comments about the garden and how lucky the school was to have such a valuable asset for the children to study plants and mini-beasts! The stunning crocosmia "Emily McKenzie"